Plant of the month. January 2015: BAMBOO, IN COLORADO? – Glacier View Landscape and Design, Inc.
Plant of the month. January 2015: BAMBOO, IN COLORADO? Wishing you had a little bit of “tropical” in your life right now? After recording -9 degrees below zero Fahrenheit last week in Boulder Colorado, a thought came to mind…..how about some tropical additions to the “Plant of the Month” Series? What can we grow here along the Front Range of Colorado that gives us that tropical feeling? Bamboo of course! There are six readily available types of bamboo that can thrive here in Colorado. But, buyer beware. 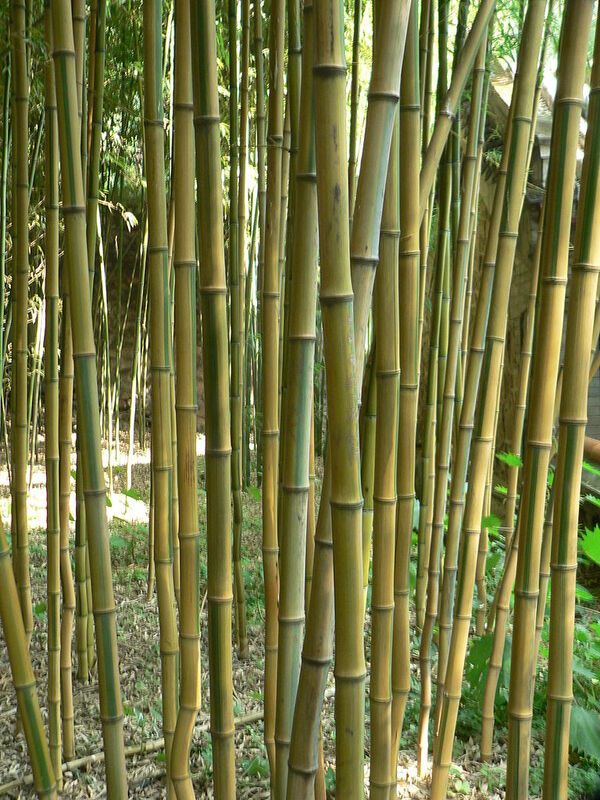 It is suggested that any species of bamboo be planted in a contained environment, meaning that one should have concrete sidewalks or foundations bordering all sides of the planting bed. Some Bamboo can spread voraciously! Others, not so much. But, better to be safe than sorry with Bamboo. The six types are ‘Green Panda’, ‘Clump Bamboo’, ‘ Yellow Groove’, ‘Spectabalis Yellow Groove’, ‘Black’ and ‘Heavenly’ Bamboo. Technically, all true Bamboo are grasses. Fargesia rufa ‘Green Panda’ is more of a clump bamboo that grows to 8-10’ tall, with dark green leaves. It is food to the giant Panda in China. But here in Colorado, it can act as a great screening plant when planted as a hedge, or as a stand-alone specimen. Fargesia rufa ‘Clump Bamboo’ is a similar clump variety and both are hardy to about -20F. It too grows to about 8-10’ tall. Phyllostachys aureosulcata ‘Yellow Groove’ and Phyllostachys aureosulcata ‘Spectabilis’ is a Yellow Groove Bamboo that will have ‘culms’ or stalks that grow up to 2” in diameter and can reach 25’ in height. Both Yellow Grove varieties will spread underground to form a grove, hence it is best to keep these under wraps by bordering with sidewalk or concrete foundation of some sort. Phyllostachys nigra or ‘Black’ Bamboo will grow to 12’ and also needs to be contained. Older growth on this one will turn black after a few years, hence the name. It also needs winter protection more than the others as it is only hardy to about -5 degrees. Any of the varieties will take short duration temperatures lower than their suggested low temperature ranges, but protection from wind and perhaps up near the foundation of a home will keep them slightly warmer than out in the open cold. Lastly, and technically not a bamboo as it is not a true grass is Heavenly Bamboo or Nandina domestica. It is really a Nandina but looks very similar to bamboo, hence the name. All parts of this plant are poisonous if ingested. It tends to be invasive in the south and Texas, but not here in Colorado, as the conditions are too dry for seeds to germinate on their own with bird dispersion. It is quite a showy plant, with clusters of small pink buds that open to white flowers in the spring. It grows to 6’. New growth is coppery, turning to blue green and then bright red in the fall with clusters of red berries atop a canopied plant crown, reminiscent of canopied rain forests of Africa or South America. A true tropical feeling will be had with these in your garden. It also needs protection from wind and cold. As with all plantings in Colorado, it is especially important to amend the clay soils with a good compost to bring nutrients and air to the soil mixture. Bamboo is only moderately water intensive and will not thrive in swampy areas as one would think. It can handle excess moisture as long as it is well drained….sometimes difficult to do in our heavy clay soils. And finally, it can handle full sun, but would prefer partial shade if possible, or at least be protected from the intense afternoon sun here in Colorado. Plant some…but not too much…along with ferns and other creeping ground cover in a hidden area of your garden for that true tropical feel.